From one of America's preeminent literary voices comes a new story collection that proves once again why the writing of Luis Alberto Urrea has been called "wickedly good" (Kansas City Star), "cinematic and charged" (Cleveland Plain Dealer), and "studded with delights" (Chicago Tribune). Examining the borders between one nation and another, between one person and another, Urrea reveals his mastery of the short form. This collection includes the Edgar-award winning "Amapola" and his now-classic "Bid Farewell to Her Many Horses," which had the honor of being chosen for NPR's "Selected Shorts" not once but twice. 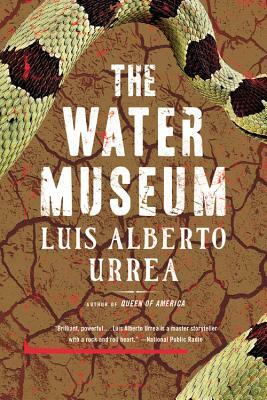 Suffused with wanderlust, compassion, and no small amount of rock and roll, THE WATER MUSEUM is a collection that confirms Luis Alberto Urrea as an American master.